St. Francis of Assisi School is a private transitional kindergarten through eighth grade Catholic school, located in the beautiful city of Concord, CA. Since we first opened our doors in 1965, we have nurtured an environment in which our children are taught Christian values, receive a Catholic education, and are provided with the necessary skills to become responsible citizens in their communities and in the world. 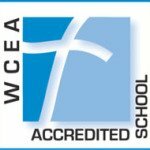 We are dedicated to providing a quality, faith-based Catholic education in a safe and nurturing environment for students in grades TK-8. Our value-centered academic programs empower the students with the skills to be active Christians, life-long learners, and responsible citizens. Shop at Office Depot and Help Our School! 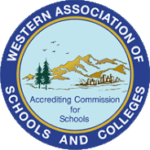 St. Francis of Assisi is proud to be accredited by both the Western Catholic Educational Association and Western Association of School and Colleges.